Need to Hire Skilled Employees? Upskill Staff? Help Funding Training? Labor Department will take temporary non-enforcement position on tip credit and minimum overtime-exempt salary pending legislative or federal action. The Maine Department of Labor advises employers of their legal obligations to workers related to the passage of changes to the state minimum wage via the ballot initiative Question 4. Minimum Wage Poster: Every employer must hang required posters where workers can easily see them. Download the 2017 Minimum Wage poster for free here. Posters can be posted in either color or black and white. Referendums and Salaried Workers: Labor Commissioner Jeanne Paquette and Julie Rabinowitz review the referendums in detail including marijuana and drug testing, as well as the federal overtime rule injunction on the HR Power Hour with David Ciullo. Take a listen! State Overtime Exemption Salary Threshold: Even though federal overtime rule has been put on hold, Maine's minimum wage referendum will impact state overtime salary exemption threshold as well. Julie Rabinowitz provides clarification on the George Hale & Ric Tyler Show. "Click for more" to read what employers need to know about the minimum wage law in Maine. 3. School, employer or landlord may not discriminate. A school, employer or landlord may not refuse to enroll or employ or lease to or otherwise penalize a person 21 years of age or older solely for that person's consuming marijuana outside of the school's, employer's or landlord's property. Before the law takes effect, employers should review and adopt clearly written policies and procedures that are applied consistently. Discuss any changes or new policies with employees. Communicating your policies will help set expectations and boundaries for applicants and employees. Be sure to document how you advise employees of these changes. You may also need to review how you define safety-sensitive positions and clarify expectations for those employees. Employers interested in learning more about drug testing for applicants and employees should visit our website to ensure that they are following appropriate state and federal law. SafetyWorks! will also be offering new, no-cost Impairment Detection workshops for employers beginning in 2017. The Department anticipates several changes will be made to the legalization statute during the upcoming legislative session; these may include changes to the employment-related provisions. Contact your local legislators for more information about this process. The Maine Department of Labor and its Workforce Partners provide a variety of employment and training services at no charge for businesses. We developed the Maine-at-Work Initiative to help employers and job seekers learn of the many resources available to them. "Click for more" to learn about the initiative and how to let us know your needs. 2017 New Employer Rate is 1.77% plus the CSSF Rate of 0.06% - Combined Rate of 1.83%. "Click for more" to get the latest charts. 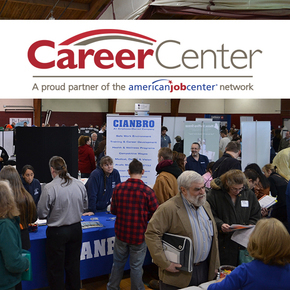 We've added a webpage to the Maine CareerCenter website with tips to help Employers/Agents submit their H-2B related online job orders through Maine JobLink. Check it out! January 25, 8;30 a.m. to 3:30 p.m. This no-cost training session is designed to help owners, managers and supervisors recognize and respond appropriately to employee impairment in the workplace in order to reduce worker accidents and injuries. Register HERE or "Click for more" to find class details. Looking to exhibit? Contact the hosting CareerCenter. Maine Department of Labor is equal opportunity providers.